On September 2017 – Fantastic service. Very professional and friendly chap. I hired 10 suits so was expecting a few mistakes if I’m honest but he nailed it. A couple of my Ushers on the other hand gave a couple of wrong sizes, only to realise this on the day before the wedding. Garry didn’t hesitate to save the day by driving an hour to get to me with all the right gear and the wedding was a massive success. I could not recommend highly enough. Incredible service and immaculate morning suits for which i was constantly complimented on throughout the wedding. Will definitely be going back, 5 stars and would recommend to all! I want to say a huge thank you for making me look the part on my wedding day. The suits looked extremely smart, we were constantly complimented, which is a great credit to you. The suits were amazing and our day was perfect. Thank you! Me and my best man hired suits from Garry Andrew. Very pleased with them both, high quality, looked sharp all day. Thanks for helping to make the day special Garry. A big thank you for the wedding suits, they looked very smart on the day, and were very much admired, the fellas were really pleased. Also I’d like to thank you for your calm and professional manner and your advice, it was most appreciated…. 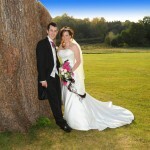 Thank you very much for the professional service we received from you for our wedding ……. we had a brilliant day! Thank you again. ‘ We just wanted to say a big thank you for the excellent service that you provided when arranging our suit hire for our wedding. Your customer service was, ‘first class’ and knowing that we could rely on you gave us one less thing to worry about.’ Brendan & Sally. 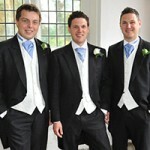 Just wanted to say thank you for all your help with the suits, the guys all looked fantastic. all the suits fitted and all the guys were really pleased with your service…………..we would recommend your services to friends & family. Thank you for providing all the suits for our wedding day…….all the men looked really smart, we can’t recommend you highly enough! I am very grateful to Garry for his kind support of our November event at which we raised over £1,500 for charity. 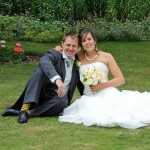 He provided a high quality service, with high quality formal wear for an important event. He was prompt, delivering our suits when he said he would, and even including extras that we had not asked for. All together a first class service. 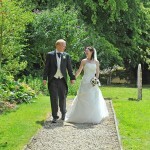 We would just like to thank you for the great service and suits that we hired from you for our wedding on 8th June. We had a great day and the suits looked brilliant, it was a warm day so I’m very glad we went for the lightweight jackets. Lots of people commented on how good they looked, they fitted well, were nice and comfortable and they look great in the photos! I wouldn’t hesitate to recommend you to friends & family. I wanted to make sure you had a testimonial from me for your site. Charlotte and I just wanted to thank you again for supplying the suits for our wedding. 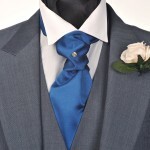 Everyone’s suit fitted, they all looked fantastic and the special ties you had made to match the bridesmaids’ dresses finished the look perfectly. You handle stressed and nervous grooms to be very well. Thanks for sorting out my dinner attire for recent Charity Event. Also previously kitting out my son for his Prom night. On both occassions we were told how smart we looked. was great .I would recommend your A1 service to any prospective customers . Many Thanks from myself and my son Aaron. 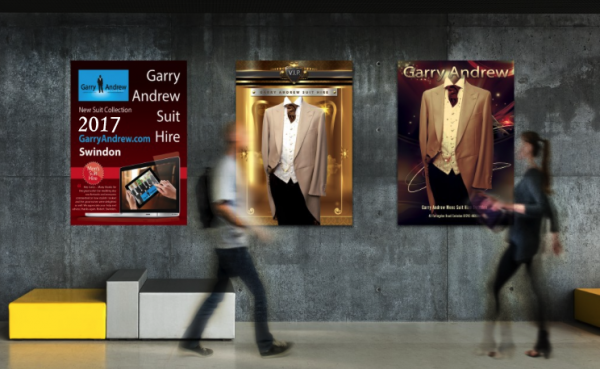 Garry Andrews Formal Suit Hire is very professionally run by Garry. 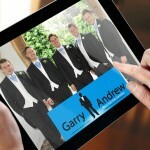 Garry provides you with a personal service that he tailors to what you want for your event. Garry is a very friendly person and will always give his professional opinion. 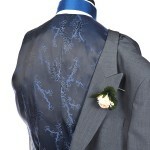 I will definitely use Garry again for any suits that I will need to hire for upcoming weddings or events. Just wanted to say a huge thank you! The lads looked brilliant in their suits and they all fitted perfectly! Everyone commented how great they were. Your service was impeccable and nothing was too much trouble. We will definitely be recommending you to others! Thanks for the part you played in our special day. We had so many compliments on the day. The suits fitted perfectly which is quite a feat seeing that two of the lads could not make the fitting as they lived abroad! Updated 21/10/2015 by Garry Andrew. 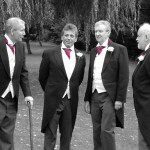 Mens suit hire Swindon has been catered for by Garry Andrew for many years. Garry’s shop is situated right in the city centre and close to the train station and car parks. 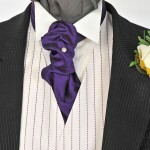 Garry is on hand to offer advice on styles of jackets, trousers, waistcoats and of course neckwear. 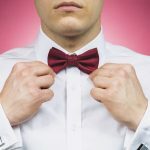 So for formal mens suit hire Swindon, call on Garry Andrew and get the best possible formal wear and advice for that special day. 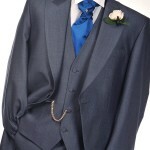 If you have seen your friends wedding photographs in Wiltshire you have probably seen our mens suit hire Swindon! 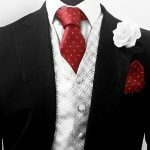 Our mens suit hire service has been in the centre of Swindon for over 15 years, so we know a thing or two about suits for special occasions. 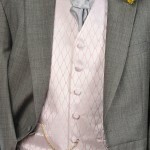 We continue to add to the range of formal designer mens suit hire Swindon, so give Garry a call and see what we can provide for your special day.